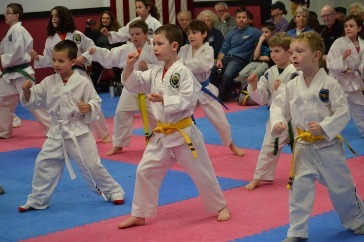 When you are invited to a test, you are ready to move to your next level of belt or stripe. The testing is to show what you know and is a culmination of all the work you have done to make it to the next step in your practice. You should be very proud to be invited to test. Bring your friends and family! 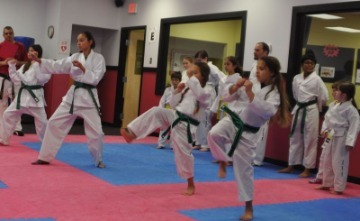 To prepare for tests, attend classes, work on your patterns and make sure you can accomplish all the requirements listed for your belt found on the USTF page. 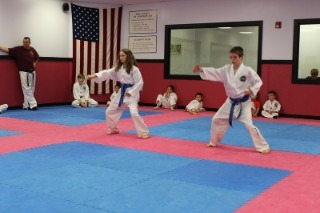 Color Belt testing starts students on their path of learning Taekwon-Do. 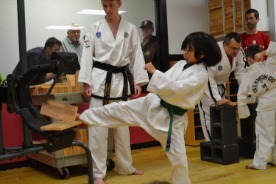 In these tests, students demonstrates all patterns they know, their foot and hand techniques, and breaking. 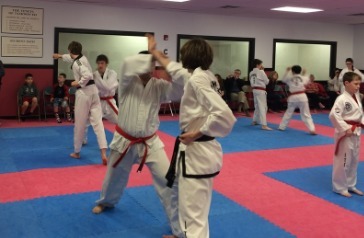 Red Belt testing may be the most challenging of all the tests. 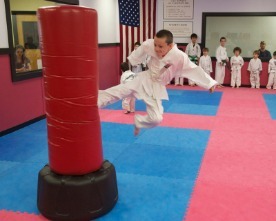 It's the first time you have to show you know all aspects of Taekwon-Do: Patterns, kicking and hand techniques, ho-sin-sul, sparring, and breaking. You are required to exhibit control along with power, balance, and grace. These tests require a lot of preparation from students - beyond what they would do in class work. 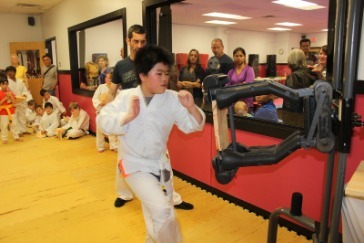 It is a great honor to get to Red Belt level. 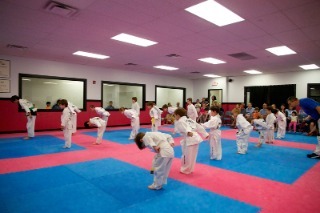 Must know all kicking drills. Must be ready to spar. Must have executed designated breaks.